Kent Memorial Library (1972), Suffield, Connecticut. Architect: Warren Platner (1919-2006). Photo: Andrew Moore. NEW YORK, NY.- Cities and towns across America routinely demolish their modern architecture, without giving the buildings a chance to be preserved and adaptively restored. Why this happens, and what we can do to save 50 years of modernist architecture, is addressed in Modernism at Risk: Modern Solutions for Saving Modern Landmarks, a traveling exhibition organized by the World Monuments Fund (WMF) and sponsored by Knoll, Inc. Opening on February 17 at the Center for Architecture, 536 LaGuardia Place, the exhibition will be on view there through May 1, 2010. A project of WMFs Modernism at Risk program, the exhibition features large-scale photographs by noted photographer Andrew Moore and interpretative panels on five case studies that explore the role designers and other advocacy groups play in preserving modern landmarks.  Kent Memorial Library in Suffield, Connecticut, designed by Warren Platner. Each of these buildings was threatened, and each received the attention of architects and designers intent on preventing its destruction. These case studies reveal the many ways the design community is working to sustain the legacy of modern architecture  one building at a time. Riverview High School and the Grosse Pointe Library were specifically cited in WMFs 2008 Watch listing Main Street Modern as examples of modern buildings at risk and needing attention. A model of Riverview prepared by the Paul Rudolph Foundation will also be on display. Riverview was razed in June 2009, but the Sarasota County School District has agreed to sensitively rehabilitate Rudolphs Sarasota High School addition (built one year after the original high school) and support the nomination of the site to the National Register of Historic Places. These case studies, which comprise the traveling exhibition, (Modernism at Risk has visited three venues in Florida) explore the potential outcomesrestoration, demolition, adaptive reusefor modernist landmarks. In addition, the Center for Architecture installation includes five projects whose fates have not yet been sealed, highlighting modernist buildings that are currently at risk of being demolished. The Center exhibition invites the participation of the preservation groups who are trying to save these buildings, engaging the community in a dialogue about the preservation of modernist icons. 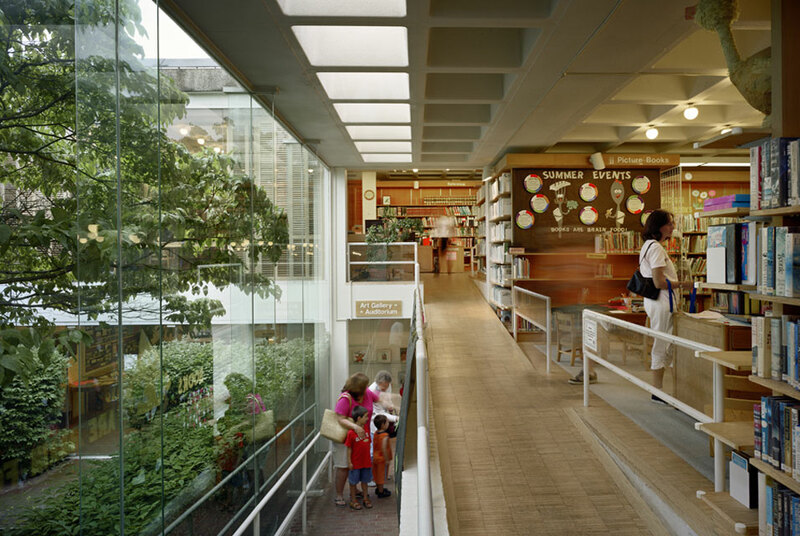 Modernism at Risks Main Street Modern theme carries over to the five at risk buildings added by the Center for Architecture to the exhibitiontwo schools, a hospital, a library, and a laboratory. The New York venue features the ongoing demolition of Michael Reese Hospital in Chicagobuildings that Bauhaus School founder Walter Gropius largely designed and planned. It also describes the imminent threats to the Bell Labs complex in Holmdel, New Jersey, designed by Eero Saarinen, and to Paul Rudolphs Chorley Elementary School in upstate New York, recently added to the Preservation League of New York State 2010 Seven to Save program and fighting for survival. Atlantas Central Branch Library, designed by Marcel Breuer, was recently placed on the 2010 World Monuments Watch, as was the Faculty of Architecture and Urbanism building of the Central University of Venezuela in Caracas. The organizations trying to save these buildings alongside WMFs efforts include the Gropius in Chicago Coalition, DOCOMOMO New York/Tri-State, the Paul Rudolph Foundation, DOCOMOMO GA, and Facultad de Arquitectura y Urbanismo, Universidad Central de Venezuela, respectively. Musée du quai Branly Proposes the Discovery of an "Image Factory"
National Gallery of Canada to Host "Pop Life: Art in a Material World"